Our orthodontist provides the residents of Miami Lakes, Florida, with the highest quality care and the most advanced orthodontic treatments, including braces and Invisalign®. Dr. Piero G. Palacios proudly serves the families of Miami Lakes, and he looks forward to helping you have a beautiful smile. A documented authority in the field of orthodontics, the work of Dr. Piero G. Palacios has been published in the Journal of Clinical Orthodontics. Dr. Palacios attended the University of Connecticut, completing his Master’s in Dental Science and Graduate Certificate in Orthodontics. He also served as chief resident while at UCONN. Dr. Palacios was born and raised in Nicaragua. He completed his Bachelor of Science and Doctorate in Dental Surgery from the University Francisco Marroquin in Guatemala. To learn more about Dr. Palacios and our services, or to schedule an appointment with Dr. Palacios, call our Miami Lakes office today at (786) 319-9057. Our staff is always available to provide you with the highest quality customer service and address all of your concerns. Dr. Ioan Palacios attained his Doctor of Dental Surgery degree from the Universidad Americana in Managua, Nicaragua, followed by three years of residency in Advanced Education in General Dentistry from the University of Connecticut. After a few successful years in private practice, he completed an intense three-year specialty residency at the University of Connecticut, where he received extensive training in contemporary orthodontic treatments, leading to a Master’s degree in dental science with focus on Orthodontics, as well as a specialized diploma in postgraduate Orthodontics. He is knowledgeable in treatments of both children and adults’ orthodontic problems. His philosophy is achieving the best results and performing at fullest potential at all times. Dr. Palacios believes that every case needs to be treated in a unique way and patients need to have a great experience during the course of orthodontic treatment. 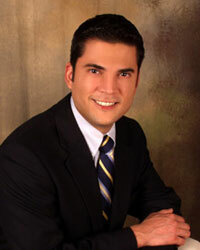 Dr. Palacios maintains his status of specialist in good standing; In addition to the prestigious membership to the American Association of Orthodontists, Dr. Palacios is an active member of numerous dental organizations, including the Florida Association of Orthodontists, American Dental Association, Florida Dental Association, as well as local and regional dental associations. Dr. Palacios’s philosophy is that every case need to be treated in a unique way and patients need to have a great experience during the course of orthodontic treatment. His skills include early orthodontic treatment for children; adult orthodontics; combined orthodontic surgery/orthodontic treatment to enhance facial esthetics, and application of Invisalign. Dr. Palacios is dedicated to be at the forefront of the most recent advancements in orthodontics to provide his patients with the highest quality treatments and outstanding personalized care in a friendly welcoming environment through his top-notch knowledge and skills. He likes to run and swim, he also enjoys movies, photography, cooking and spending quality time with family and friends. Through a combination of education, practical experience, and dedication to lifelong learning, Dr. Palacios has achieved the knowledge necessary to create perfect smiles for all his patients. 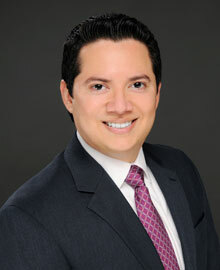 Fluent in English and Spanish, Dr. Palacios holds a breadth and depth of knowledge that facilitates great orthodontics.